The Friday Mega Millions jackpot has already been raised to $500 million, with a cash value of $359.4 million. Play for half a billion dollars from anywhere in the world, just go to http://osalottos.com/mmsn today. North Carolina- Planning to use millions of dollars in state lottery proceedings, the Alamance- Burlington school system is pioneering the cause by utilizing left over bond referendum proceedings and state lottery gains to repair and maintain school system facilities all over the county. The Board of Education for Alamance has just approved the appropriation of lottery profits and leftover bond returns for the renovation of several educational facilities over the summer, while students take a break. A total of $5.523 Million in funds will be distributed to the several construction plans drafter for educational facility improvement. 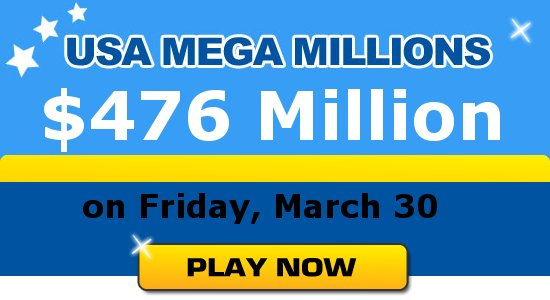 Batavia IL- the Illinois Lottery website has confirmed that the winning jackpot in the most recent jackpot draw was purchased from a 711 store in Fabyan Parkway, Batavia Illinois and the claimant has yet to come forward and claim the mega jackpot of $3 Million. Authorities have confirmed that the winner has not claimed his winnings as of Sunday evening which has prompted the lottery commission to launch an information campaign, urging locals to check their lottery tickets. The winning ticket is a perfect match for all six winning number combination for the lotto draw which was held last Saturday. New Jersey- in a shocking twist, retribution was bestowed to a group of construction workers when the jury ordered mega million lottery winner Americo Lopez to share his winnings with five of his former co-workers, whom he mutually bought the winning ticket with and hid the proceeds from. Americo, together with Candido Silva Sr., Jose Sousa, Daniel Esteves, Carlos Fernandes, and Candido Silva Jr. were friends and co-workers in a construction firm and pooled their money for lottery tickets. In a statement that was issued, it was Americo who was tasked to buy the ticket for the group. In November of 2009 Americo found out that the ticket that they purchased had won the winning pot and secretly cashed the MegaMillions winning lotto, cashing in on a seventeen million dollar payout. Rocky Hill, Conn. (WABC) – 6 New England states, namely Massachusetts, Connecticut, New Hampshire, Rhode Island, Maine and Vermont, joined together in launching a regional game called Lucky for Life. Happening this Sunday, tickets will cost only $2 giving players a chance to win $1,000 daily, for their whole life. This fresh new take on the regional game collaborated by all 6 states started in Connecticut. Its success of this state's draw and scratch game is attributed to its life time guaranteed payout that began in 2009. Its regional version could aptly replace the 40 year old New England lottery with the hopes of attracting more players, offering larger payouts and generating more income for the state coffers. 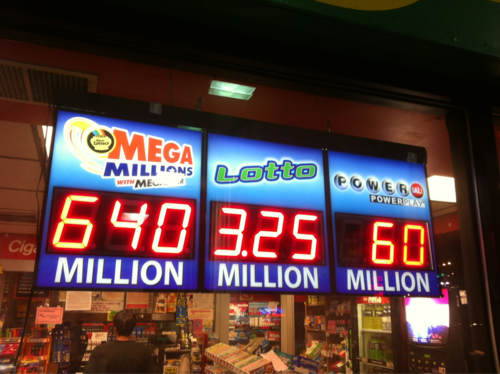 It is not easy putting together the different state laws and processing for lottery approval. In the past 9 months, these states have worked together in making the logo of the game down to its rules.